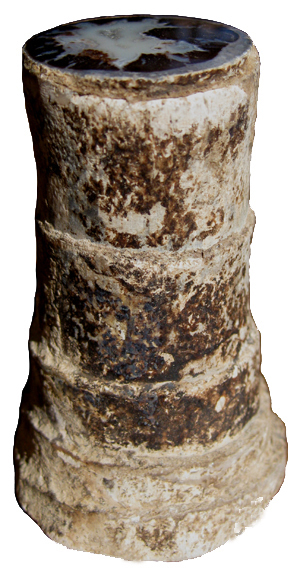 The scars or "joints" marking the former position of nodes are preserved on the exterior of this fossil Palmoxylon from Farson, Wyoming. The nodes are closely spaced near the bottom of the palm stem. It also appears that adult diameter was reached early in growth. 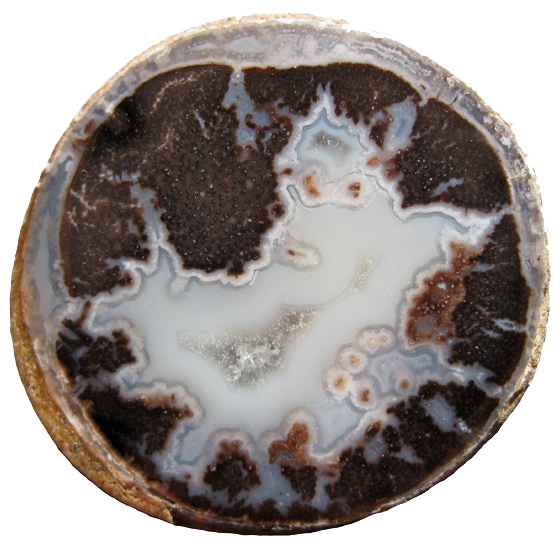 The polished end of the specimen is pictured below. 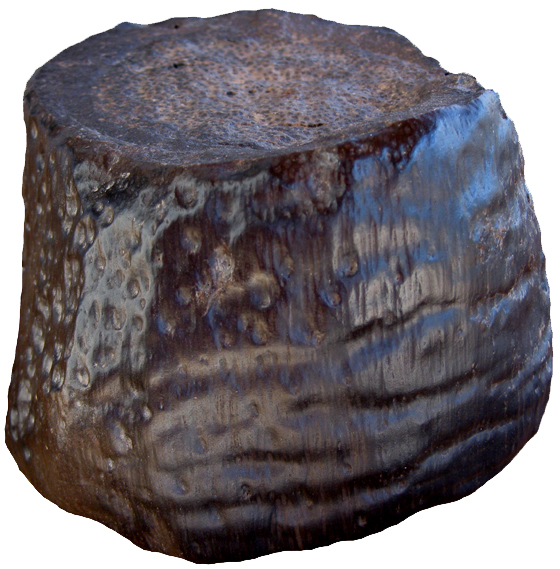 This Palmoxylon specimen from Libya represents the base of a palm. Remnants of the nodes can be seen on the wind polished exterior.